On the 2 April 2019 (today), Google raised their license prices for G Suite by a small amount. Both the Basic and Business plans were impacted: The Basic plan increased from €4 to €5.20 and the Business plan from €8 to €10.40. The Enterprise plan prices have not changed. Price increases are rarely a good thing from a customer's perspective. 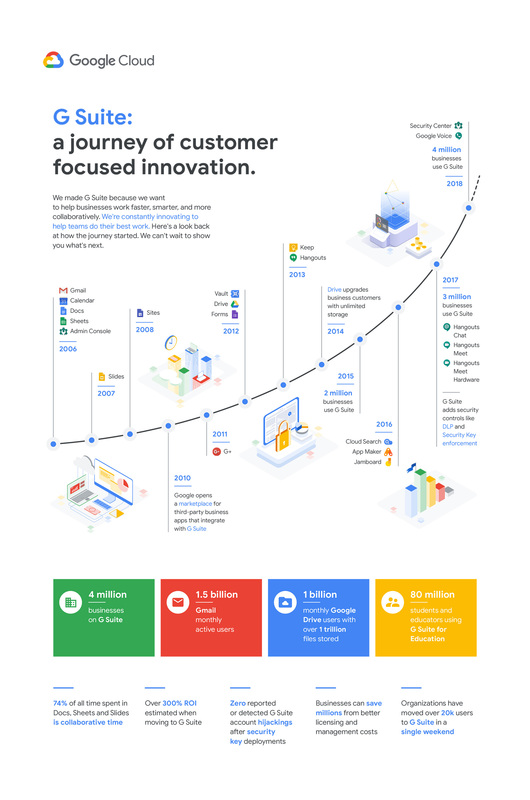 But if you look at how G Suite has developed over the past few years, it is definitely understandable. Since G Suite's initial launch, the Google development teams have added more than a dozen additional services to the G Suite toolset, including Hangouts Meet for high-quality video meetings, Hangouts Chat as an instant messaging and group chat solution, and the instance-wide enterprise Cloud Search. Moreover, G Suite now features advanced AI technologies for faster email replies, simplified data analysis, and phishing attack prevention. Basic and Business customers on a flexible payment plan will see these changes take effect on 2 April. For Basic and Business customers on an annual payment plan, the new prices come into effect on their next annual payment. We have outlined the difference between these two payment plans in our Knowledge Base article about Google's pricing models. That means, nothing will change for existing customers on an annual payment plan until they are due to renew licenses for another year. This is one of the reasons we encourage both existing and new customers to think ahead and actively plan for potential license or support cost increases for any of the software tools and services they use - you can potentially save quite a bit of money on license fees if you pay annually instead of monthly! Need an experienced G Suite partner? Do you have questions about these pricing updates? Are you interested in finding more out about what G Suite can offer your company? Get in contact with us today! //SEIBERT/MEDIA is an official Google Cloud Partner and our dedicated team of Google experts would be delighted to support you with any questions you may have about Google's G Suite: applications, implementation, productive use, licensing - we'd love to help!